The development and validation of new methods for the assessment of dietary intake, in particular smartphone image-based records, and the design and evaluation of innovative uses of interactive technologies to enhance dietetic practice, support individuals make and sustain healthy behaviours in management of chronic diseases such as obesity. © 2019 by the authors. Licensee MDPI, Basel, Switzerland. The aim of this study was to examine the effect of a six-week 2 × 2 design on pain scores, quality of life, and dietary intake in patients attending an Australian tertiary pain clinic. The two intervention components were (1) personalized dietary consultations or waitlist control, and (2) active or placebo dietary supplement (fruit juice). Sixty participants were randomized into one of four groups at baseline (68% female, mean age 49 ± 15 years) with 42 completing the study (70% retention). All groups had statistically significant improvements in three of five pain outcomes. The personalized dietary consultation groups had clinically important improvements in three of five pain outcomes compared to the waitlist control groups. All groups had a statistically significant improvement in six of eight quality-of-life categories post intervention. All groups increased percentage energy from nutrient-dense foods (+5.2 ± 1.4%, p < 0.001) with a significant group-by-time effect for percentage energy from total fat (p = 0.024), with the personalized dietary consultations plus placebo fruit juice reporting the largest reduction (-5.7 ± 2.3%). This study indicates that dietitian-delivered dietary intervention can improve pain scores, quality of life, and dietary intake of people experiencing chronic pain. Future research should evaluate efficacy in a full-powered randomized control trial. © 2018 The British Dietetic Association Ltd. Background: This systematic review aimed to evaluate the impact of nutrition interventions on participant reported pain severity and intensity in populations with chronic pain. Methods: Eight databases were systematically searched for studies that included adult populations with a chronic pain condition, a nutrition intervention and a measure of pain. Where possible, data were pooled using meta-analysis. Seventy-one studies were included, with 23 being eligible for meta-analysis. Results: Studies were categorised into four groups: (i) altered overall diet with 12 of 16 studies finding a significant reduction in participant reported pain; (ii) altered specific nutrients with two of five studies reporting a significant reduction in participant reported pain; (iii) supplement-based interventions with 11 of 46 studies showing a significant reduction in pain; and (iv) fasting therapy with one of four studies reporting a significant reduction in pain. The meta-analysis found that, overall, nutrition interventions had a significant effect on pain reduction with studies testing an altered overall diet or just one nutrient having the greatest effect. Conclusions: This review highlights the importance and effectiveness of nutrition interventions for people who experience chronic pain. © 2017 Dietitians Association of Australia Aim: To compare the theoretical costs of best-practice weight management delivered by dietitians in a traditional, in-person setting compared to remote consultations delivered using eHealth technologies. Methods: Using national guidelines, a framework was developed outlining dietitian-delivered weight management for in-person and eHealth delivery modes. This framework mapped one-on-one patient¿dietitian consultations for an adult requiring active management (BMI = 30 kg/m2) over a one-year period using both delivery modes. Resources required for both the dietitian and patient to implement each treatment mode were identified, with costs attributed for material, fixed, travel and personnel components. The resource costs were categorised as either establishment or recurring costs associated with the treatment of one patient. Results: Establishment costs were higher for eHealth compared to in-person costs ($1394.21 vs $90.05). Excluding establishment costs, the total (combined dietitian and patient) cost for one patient receiving best-practice weight management for 12 months was $560.59 for in-person delivery, compared to $389.78 for eHealth delivery. Compared to the eHealth mode, a higher proportion of the overall recurring delivery costs was attributed to the patient for the in-person mode (46.4% and 33.9%, respectively). Conclusions: Although it is initially more expensive to establish an eHealth service mode, the overall reoccurring costs per patient for delivery of best-practice weight management were lower compared to the in-person mode. This theoretical cost evaluation establishes preliminary evidence to support alternative obesity management service models using eHealth technologies. Further research is required to determine the feasibility, efficacy and cost-effectiveness of these models within dietetic practice. © 2018 The British Dietetic Association Ltd. Background: Childhood nutrition is important in optimising growth, development and future health. The present study compared dietary intakes of Australian children aged 4¿8 years with (i) Australian Guide to Healthy Eating (AGHE) food group recommendations and (ii) age-specific Nutrient Reference Values (NRVs), in addition to (iii) describing food group intakes of children meeting key NRVs. Methods: Data were obtained from a representative sample of children (n = 789) from the National Nutrition and Physical Activity Survey between May 2011 and June 2012. Parent-reported 24-h recall dietary data were disaggregated into five core food groups, along with energy-dense, nutrient-poor (EDNP) foods, with intakes being compared with AGHE recommendations. Food group intakes were compared for children meeting the NRVs for 10 nutrients used for the development of AGHE food groups. Chi-squared and t-tests were performed to determine differences in food group intakes with P < 0.05 considered statistically significant. Results: Only one child met the recommended daily servings for all AGHE core food groups and none met both core and energy-dense, nutrient-poor (EDNP) food group recommendations. The lowest level of alignment (percentage meeting recommendations) was for vegetables (4.6%) and the highest was for fruit (47.7%). Mean (SD) daily intake of EDNP foods [4.7 (3.2) serves day-1] accounted for 38.4% of total energy intakes. Children meeting key NRVs (n = 395) consumed greater daily servings of fruit [2.2 (1.7)], dairy [2.2 (1.2)] and EDNP foods [5.0 (3.4)] compared to the total sample (n = 789). Conclusions: Significant discrepancies exist between contemporary dietary patterns of Australian children and national recommendations. Future AGHE revisions should incorporate greater diversity of consumption patterns, including sub-categories of EDNP foods. © 2017 Elsevier B.V. Objective To integrate the findings of research on electronic personal health records (e-PHRs) for an understanding of their health literacy demands on both patients and providers. Methods We sought peer-reviewed primary research in English addressing the health literacy demands of e-PHRs that are online and allow patients any degree of control or input to the record. A synthesis of three theoretical models was used to frame the analysis of 24 studies. Results e-PHRs pose a wide range of health literacy demands on both patients and health service providers. Patient participation in e-PHRs relies not only on their level of education and computer literacy, and attitudes to sharing health information, but also upon their executive function, verbal expression, and understanding of spoken and written language. Conclusion The multiple health literacy demands of e-PHRs must be considered when implementing population-wide initiatives for storing and sharing health information using these systems. Practice implications The health literacy demands of e-PHRs are high and could potentially exclude many patients unless strategies are adopted to support their use of these systems. Developing strategies for all patients to meet or reduce the high health literacy demands of e-PHRs will be important in population-wide implementation. © 2017, © The Author(s) 2017. Young adult men are under-represented in health research, and little is known about how to reach and engage them in lifestyle interventions. This mixed-methods study aimed to explore young males¿ preferences for recruitment strategies, content, format (delivery mode and program duration and frequency), and facilitator characteristics for future physical activity and nutrition interventions. Ten focus groups involving 61 men (aged 18¿25 years) in the Hunter region, New South Wales, Australia and an online survey distributed within Australia were completed by 282 males (aged 18¿25 years). Key focus group themes included a preference for recruitment via multiple sources, ensuring images and recruiters were relatable; intervention facilitators to be engaging and refrain from discussing negative consequences of being unhealthy. Key program content preferences included skill development and individualized goals and feedback. Focus groups and the survey confirmed a preference for multiple delivery modes, including; face-to-face (group and individual), with support using eHealth technologies. Survey results confirmed the most favored program content as: ¿healthy eating on a budget,¿ ¿quick and easy meals,¿ and ¿resistance training.¿ Focus group responses suggested a program duration of =6 months, with 2¿3 combined face-to-face and supportive eHealth sessions per week. Survey intervention duration preference was 3 months with 4 face-to-face sessions per month. Findings can guide the design, conduct, and evaluation of relevant contemporary physical activity and or nutrition interventions for young men. There is a need to identify the most effective ways to address young men¿s individual preferences in intervention research. © 2016, © The Author(s) 2016. Many Australian young men (18-25 years) fail to meet recommendations in national dietary or physical activity (PA) guidelines. However, there is a lack of understanding of their perspectives on PA and diet to inform intervention design. This study examined young men¿s motivators and barriers to healthy eating and PA, along with differences by demographic and behavioral factors. A cross-sectional online survey was completed by 282 men aged 18 to 25 years in Australia. Results identified the most common motivators for healthy eating included improving health (63.5%), body image (52.3%), and increasing energy (32.1%). Motivators for PA included improving body image (44.6%), fitness (44.2%), and health (41.0%). Common barriers to healthy eating were access to unhealthy foods (61.1%), time to cook/prepare healthy foods (55.0%), and motivation to cook healthy foods (50.7%). Barriers for PA included motivation (66.3%), time (57.8%), and cost of equipment/facilities (33.3%). Significant differences (p <.01) in motivators to healthy eating and/or PA were identified for BMI category, marital status, PA level, alcohol intake, and stress levels. Significant differences were identified for barriers to healthy eating and/or PA by BMI, PA level, stress, and fruit and vegetable intake, assessed using Pearson¿s chi-square test. Findings suggest that promotion of benefits related to health, appearance/body image, increased energy and fitness, and addressing key barriers including motivation, time, financial restraints, and accessibility of unhealthy foods, could engage young men in improving lifestyle behaviors. Differences by demographic and behavioral factors suggest development of tailored programs to address diversity among young men may be required. © 2016 Rollo et al. Diabetes is a chronic, complex condition requiring sound knowledge and self-management skills to optimize glycemic control and health outcomes. Dietary intake and physical activity are key diabetes self-management (DSM) behaviors that require tailored education and support. Electronic health (eHealth) technologies have a demonstrated potential for assisting individuals with DSM behaviors. This review provides examples of technologies used to support nutrition and physical activity behaviors in the context of DSM. Technologies covered include those widely used for DSM, such as web-based programs and mobile phone and smartphone applications. In addition, examples of novel tools such as virtual and augmented reality, video games, computer vision for dietary carbohydrate monitoring, and wearable devices are provided. The challenges to, and facilitators for, the use of eHealth technologies in DSM are discussed. Strategies to support the implementation of eHealth technologies within practice and suggestions for future research to enhance nutrition and physical activity behaviors as a part of broader DSM are provided. © 2016 Macmillan Publishers Limited, part of Springer Nature. All rights reserved. Background/Objectives:Limited dietary intake tools have been validated specifically for hyperlipidaemic adults. The Australian Eating Survey (AES) Food Frequency Questionnaire (FFQ) was adapted to include foods with cardio-protective properties (CVD-AES). The aims were to estimate dietary fatty acid (FA) intakes derived from the CVD-AES and AES and compare them with red blood cell (RBC) membrane FA content.Subjects/Methods:Dietary intake was measured using the semi-quantitative 120-item AES and 177-item CVD-AES. Nutrient intakes were calculated using AUSNUT 2011-2013. Fasting RBC membrane FAs were assessed using gas chromatography. Extent of agreement between intakes estimated by AES or CVD-AES and RBC membrane composition (% of total FAs) for linoleic acid (LA), alpha-linolenic acid (ALA), eicosapentanoic acid (EPA), docosapentaenoic acid (DPA) and docosahexaenoic acid (DHA) were assessed using Spearman&apos;s correlation coefficients, adjusted linear regressions and Kappa statistics.Results:Data from 39 participants (72% female, 59.3±11.1 years) indicate stronger positive correlations between RBC membrane FAs and CVD-AES dietary estimates compared with the AES. Significant (P<0.05) moderate-strong correlations were found between CVD-AES FAs and FA proportions in RBC membranes for EPA (r=0.62), DHA (r=0.53) and DPA (r=0.42), with a moderate correlation for LA (r=0.39) and no correlation with ALA. Significant moderate correlations were found with the AES for DHA (r=0.39), but not for LA, ALA, EPA or DPA.Conclusions:The CVD-AES provides a more accurate estimate of long chain FA intakes in hyperlipidaemic adults, compared with AES estimates. This indicates that a CVD-specific FFQ should be used when evaluating FA intakes in this population. © The Authors 2016. Nudging or &apos;choice architecture&apos; refers to strategic changes in the environment that are anticipated to alter people&apos;s behaviour in a predictable way, without forbidding any options or significantly changing their economic incentives. Nudging strategies may be used to promote healthy eating behaviour. However, to date, the scientific evidence has not been systematically reviewed to enable practitioners and policymakers to implement, or argue for the implementation of, specific measures to support nudging strategies. This systematic review investigated the effect of positional changes of food placement on food choice. In total, seven scientific databases were searched using relevant keywords to identify interventions that manipulated food position (proximity or order) to generate a change in food selection, sales or consumption, among normal-weight or overweight individuals across any age group. From 2576 identified articles, fifteen articles comprising eighteen studies met our inclusion criteria. This review has identified that manipulation of food product order or proximity can influence food choice. Such approaches offer promise in terms of impacting on consumer behaviour. However, there is a need for high-quality studies that quantify the magnitude of positional effects on food choice in conjunction with measuring the impact on food intake, particularly in the longer term. Future studies should use outcome measures such as change in grams of food consumed or energy intake to quantify the impact on dietary intake and potential impacts on nutrition-related health. Research is also needed to evaluate potential compensatory behaviours secondary to such interventions. © 2015 by the authors; licensee MDPI, Basel, Switzerland. With the growth of Internet technologies, offering interventions for child and family weight management in an online format may address barriers to accessing services. This study aimed to investigate (i) whether an eHealth family healthy lifestyle program would be of interest to parents; and (ii) preferences and/or expectations for program components and features. Parents of children aged four to18 years were recruited through social media and completed an online survey (54 items) including closed and open-ended questions. Responses were collated using descriptive statistics and thematic analysis. Seventy-five participants were included (92% mothers, mean age 39.1 ± 8.6 years, mean BMI 27.6 ± 6.3 kg/m2). The index child had a mean age of 11 ± 6.2 years with 24% overweight/obese. The majority of parents (90.3%) reported interest in an online program, with preference expressed for a non-structured program to allow flexibility users to log-on and off as desired. Parents wanted a program that was easy to use, practical, engaging, endorsed by a reputable source, and able to provide individual tailoring and for their children to be directly involved. The current study supports the need for online delivery of a healthy lifestyle program that targets greater parental concerns of diet rather than child weight. © 2015 Academy of Nutrition and Dietetics. Adherence and accuracy of self-monitoring of dietary intake influences success in weight management interventions. Information technologies such as computers and smartphones have the potential to improve adherence and accuracy by reducing the burden associated with monitoring dietary intake using traditional paper-based food records. We evaluated the acceptability and accuracy of three different 7-day food record methods (online accessed via computer, online accessed via smartphone, and paper-based). Young women (N=18; aged 23.4±2.9 years; body mass index 24.0±2.2) completed the three 7-day food records in random order with 7-day washout periods between each method. Total energy expenditure (TEE) was derived from resting energy expenditure (REE) measured by indirect calorimetry and physical activity level (PAL) derived from accelerometers (TEE=REE×PAL). Accuracy of the three methods wasassessed by calculating absolute (energy intake [EI]-TEE) and percentage difference (EI/TEE×100) between self-reported EI and TEE. Acceptability was assessed via questionnaire. Mean±standard deviation TEE was 2,185±302 kcal/day and EI was 1,729±249 kcal/day, 1,675±287kcal/day, and 1,682±352 kcal/day for computer, smartphone, and paper records, respectively. There were no significant differences between absolute and percentage differences between EI and TEE for the three methods: computer, -510±389 kcal/day (78%); smartphone, -456±372 kcal/day (80%); and paper, -503±513 kcal/day (79%). Half of participants (n=9) preferred computer recording, 44.4% preferred smartphone, and 5.6% preferred paper-based records. Most participants (89%) least preferred the paper-based record. Because online food records completed on either computer or smartphone were as accurate as paper-based records but more acceptable to young women, they should be considered when self-monitoring of intake is recommended to young women. © 2014 The British Dietetic Association Ltd. Background: Being overweight and obese in Australian children is common. Current evidence related to parental influence on child dietary intake is conflicting, and is particularly limited in terms of which parent exerts the stronger relationship. The present study aimed to assess mother-father and parent-child dietary relationships and to identify which parent-child relationship is stronger. Methods: A cross-sectional analysis was performed of dietary intake data from 66 families with one parent and one child aged 8-12 years who were participating in the Family Diet Quality Study, in the Hunter and Forster regions of New South Wales, Australia. Dietary intakes were assessed using adult and child specific, validated semi-quantitative 120-item food frequency questionnaires. Diet quality and variety subscores were assessed using the Australian Recommended Food Scores for adults and children/adolescents. Pearson&apos;s correlations were used to assess dietary relationships between mother-father, father-child and mother-child dyads. Results: Weak-to-moderate correlations were found between mother-child dyads for components of dietary intake (r = 0.27-0.47). Similarly, for father-child dyads, predominantly weak-to-moderate correlations were found (r = 0.01-0.52). Variety of fruit intake was the most strongly correlated in both parent-child dyads, with the weakest relationships found for fibre (g 1000 kJ<sup>-1</sup>) in father-child and percentage energy from total fats for mother-child dyads. Mother-father dyads demonstrated mostly moderate-to-strong correlations (r = 0.13-0.73), with scores for condiments showing the weakest relationship and vegetables the strongest. For all dyads, strong correlations were observed for overall diet quality (r = 0.50-0.59). Conclusions: Parent-child dietary intake is significantly related but differs for mother versus fathers. Further research is required to examine whether differing dietary components should be targeted for mothers versus fathers in interventions aiming to improve family dietary patterns. © 2015 The Authors. Published by Elsevier Ltd. Background Previous research has demonstrated that plasma carotenoids are a reliable biomarker of usual fruit and vegetable intake. The review aims were to synthesize (i) the mean dietary intake and (ii) plasma concentrations of carotenoids reported from validation studies (iii) compare the strength of the relationship between the two, measured using different dietary assessment methods. Methods Six databases were used to locate studies that included: adult populations, assessment of dietary intake, measurement of plasma carotenoids and reported the comparison between the two measures. Results One hundred and forty-two studies were included with 95,480 participants, the majority of studies were cross-sectional (n = 86), with randomized controlled trials (RCTs) (n = 18), 14 case-control studies and 13 cohorts. The most common reported dietary carotenoid and plasma carotenoid was lycopene: weighted dietary mean intake (4555.4 ug/day), and plasma concentration 0.62 umol/L (95% CI: 0.61, 0.63, n = 56studies. The strongest weighted correlation between the two measures was found for cryptoxanthin (r = 0.38, 95% CI 0.34, 0.42) followed by a-carotene (r = 0.34, 95% CI 0.31, 0.37). Conclusion This review summarizes typical dietary intakes and plasma concentrations and their expected associations based on validation studies conducted to date which provides a benchmark for future validation studies. © 2014 Burrows et al. ; licensee BioMed Central Ltd. Background: Diet quality tools provide researchers with brief methods to assess the nutrient adequacy of usual dietary intake. This study describes the development and validation of a pediatric diet quality index, the Australian Recommended Food Scores for Pre-schoolers (ARFS-P), for use with children aged two to five years. Methods. The ARFS-P was derived from a 120-item food frequency questionnaire, with eight sub-scales, and was scored from zero to 73. Linear regressions were used to estimate the relationship between diet quality score and nutrient intakes, in 142 children (mean age 4 years) in rural localities in New South Wales, Australia. Results: Total ARFS-P and component scores were highly related to dietary intake of the majority of macronutrients and micronutrients including protein, ß-carotene, vitamin C, vitamin A. Total ARFS-P was also positively related to total consumption of nutrient dense foods, such as fruits and vegetables, and negatively related to total consumption of discretionary choices, such as sugar sweetened drinks and packaged snacks. Conclusion: ARFS-P is a valid measure that can be used to characterise nutrient intakes for children aged two to five years. Further research could assess the utility of the ARFS-P for monitoring of usual dietary intake over time or as part of clinical management. We evaluated a mobile phone application (Nutricam) for recording dietary intake. It allowed users to capture a photograph of food items before consumption and store a voice recording to explain the contents of the photograph. This information was then sent to a website where it was analysed by a dietitian. Ten adults with type 2 diabetes (BMI 24.1-47.9 kg/m 2) recorded their intake over a three-day period using both Nutricam and a written food diary. Compared to the food diary, energy intake was under-recorded by 649 kJ (SD 810) using the mobile phone method. However, there was no trend in the difference between dietary assessment methods at levels of low or high energy intake. All subjects reported that the mobile phone system was easy to use. Six subjects found that the time taken to record using Nutricam was shorter than recording using the written diary, while two reported that it was about the same. The level of detail provided in the voice recording and food items obscured in photographs reduced the quality of the mobile phone records. Although some modifications to the mobile phone method will be necessary to improve the accuracy of self-reported intake, the system was considered an acceptable alternative to written records and has the potential to be used by adults with type 2 diabetes for monitoring dietary intake by a dietitian. 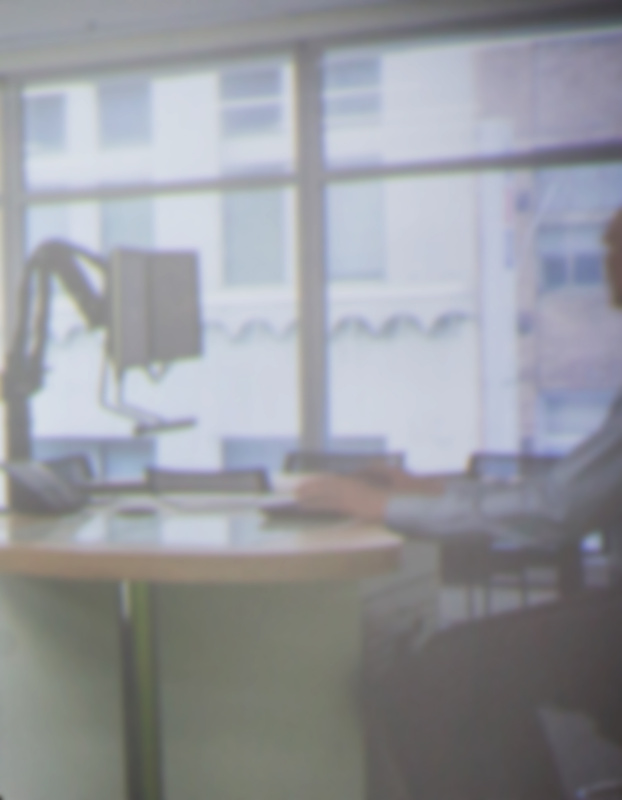 This project involved the development and testing of a prototype “virtual clinic” platform for the provision of online real-time consultations (web/video-conferencing) with a dietitian within a web-based weight loss platform. Can you eat your way out of a migraine? 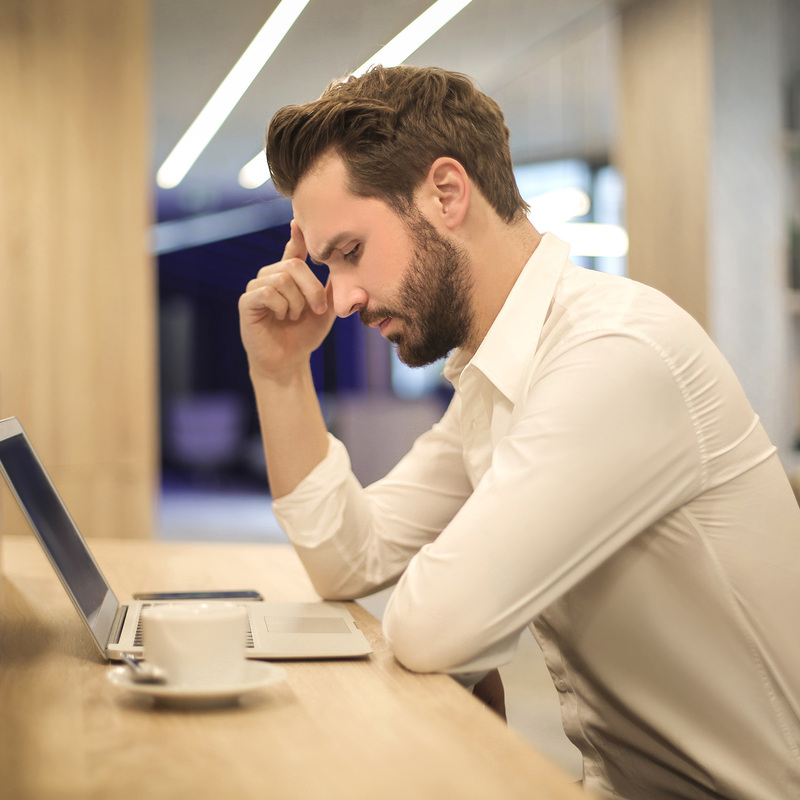 While specific foods can trigger migraines, researchers from the University of Newcastle and HMRI want to trial a new diet therapy and test whether it can help relieve or improve migraines. 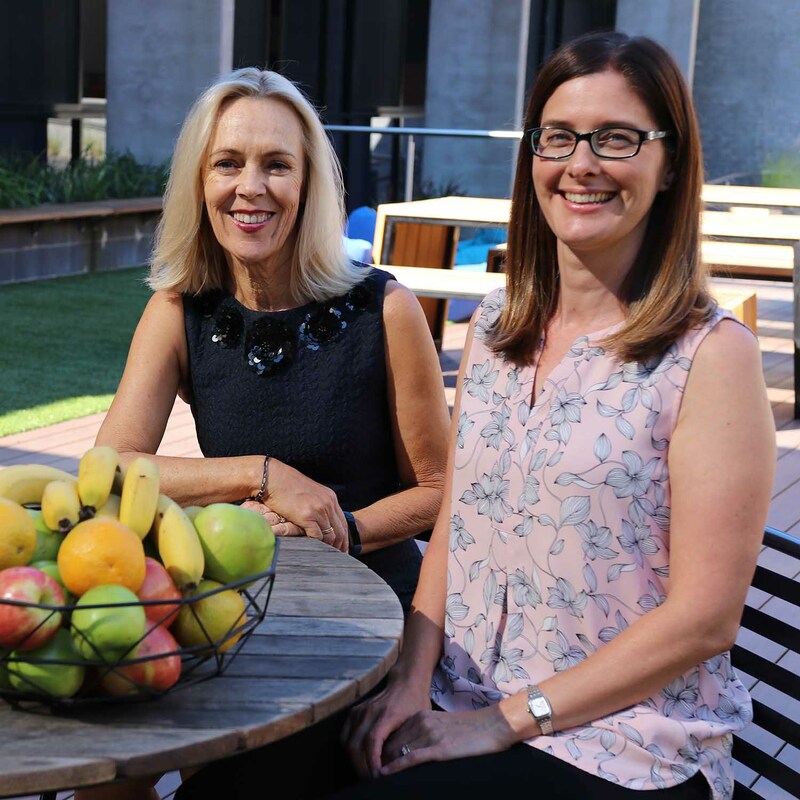 The University of Newcastle has received funding from nib foundation to develop an innovative web platform that will deliver personalised nutrition advice. 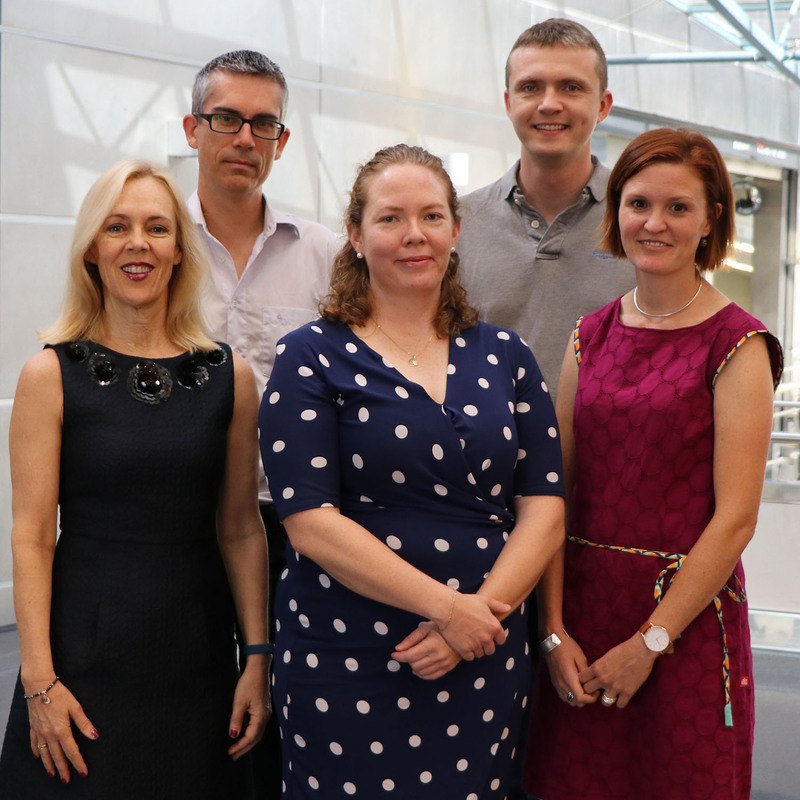 Researchers from the University of Newcastle have received a grant from the Bill & Melinda Gates Foundation to develop a new method of nutrition assessment. 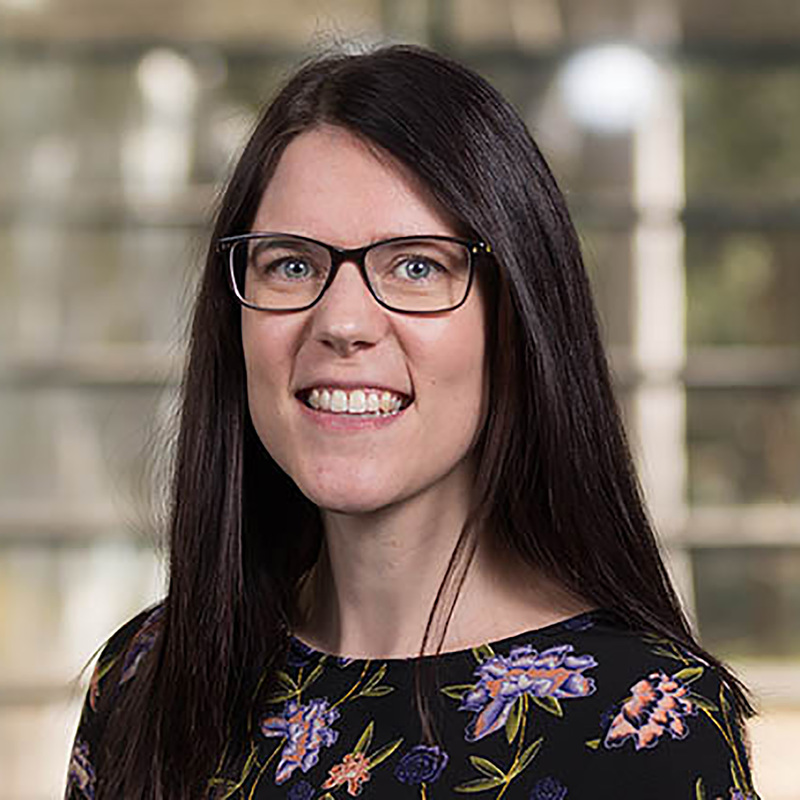 UON nutrition researchers are using smartphone technology to gather first-hand insights about the diets of expectant Indigenous mums and provide feedback. Young men are the target of a new University of Newcastle study aiming to tailor a healthy lifestyle program that meets their specific needs. A research study will assess the use of smartphones as a new method for pregnant women to record their nutritional intake.